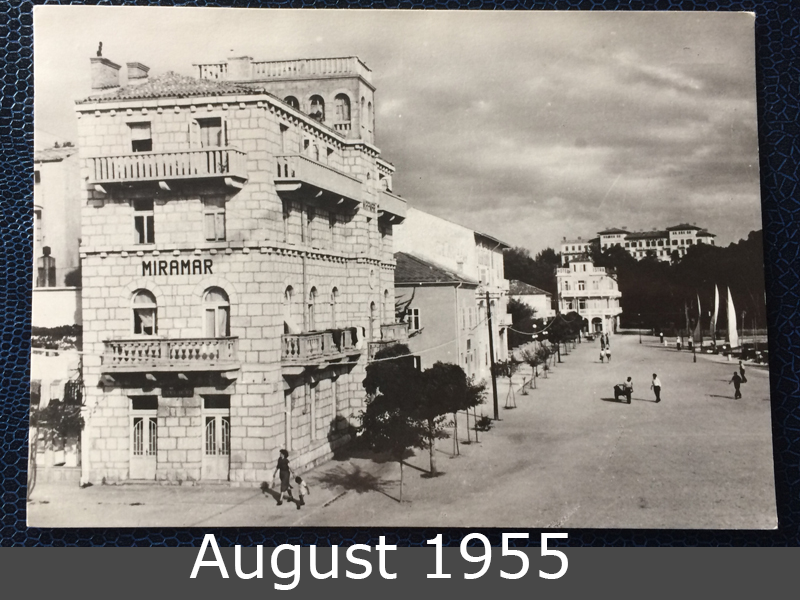 Rab in Croatia is the main town on the adriatic island Rab. You can find there beautiful beaches and a perfect area for diving. 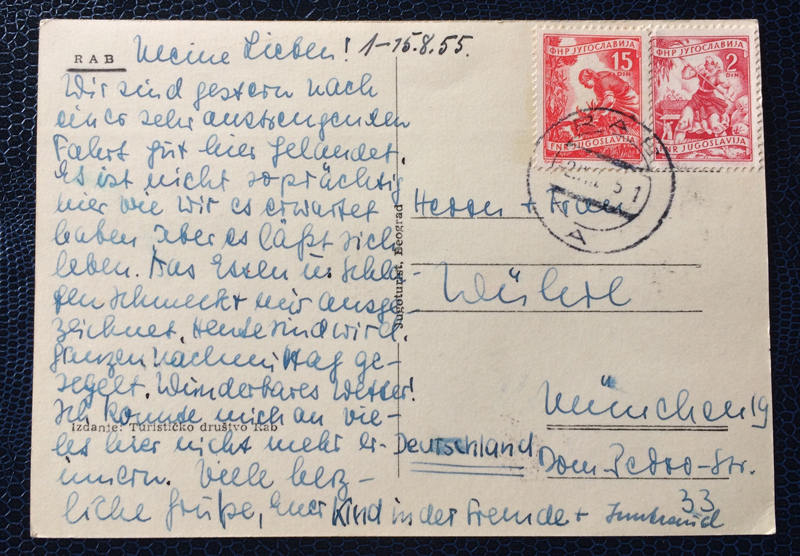 This postcard was written in summer 1955 and goes from the former Jugoslavija to Germany.